‍Melt the butter in the water. Stir in the flour mixture all at once. Stir well until a dough forms. ‍Break the eggs in a bowl. Add the vanilla and lemon zest to the eggs. ‍Transfer the dough to the mixer. Incorporate the eggs one yolk at a time. Beat well to incorporate completely after each addition. 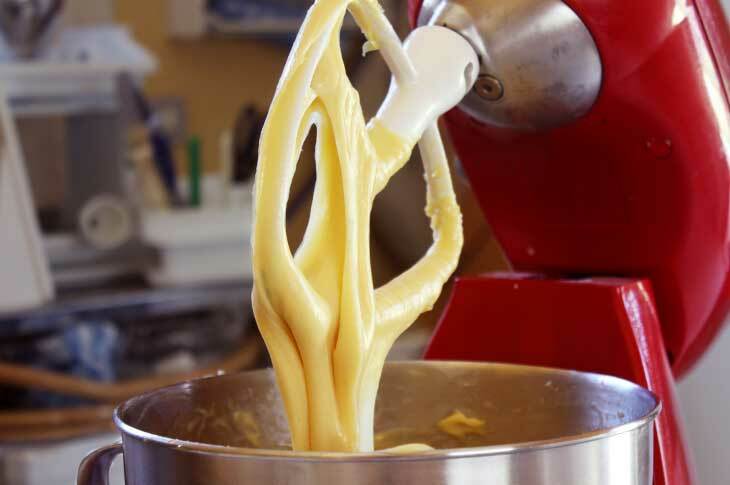 ‍Keep on mixing for about 10 to 15 minutes until batter looks smooth and shiny. Transfer the paste into the pastry bag. Pipe the pastry (using a large nozzle) onto the lined baking sheets leaving enough space between the shells. Bake for about 15 to 20 minutes (don’t open the oven) until the shells puff up and turn golden brown. Let cool before storing or filling. You can store baked Pâte à Choux shells (empty shells) in zip lock bags for about 2 weeks.